Veneers offer a smart solution for an array of cosmetic problems, including stains, chips, crooked teeth and gaps between teeth. 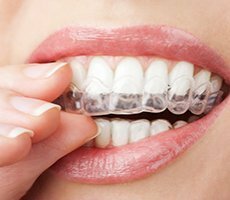 At Chattanooga Dental Studio, Dr. Chris Robertson offers super-thin, durable veneers to help patients in and around Chattanooga, TN, correct cosmetic defects and look and feel their best. Veneers are very thin covers that are placed on the surface of a tooth to hide cosmetic defects like cracks, chips, fractures, fissures and deep stains, or to help correct the appearance of a crooked tooth or close gaps between teeth. 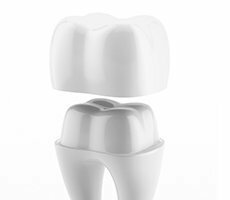 Made of very durable porcelain, veneers are about the thickness of a fingernail, and their translucency can be tinted and altered to suit each patient’s specific needs so they look just like a natural tooth. Porcelain is also very resistant to staining, making it a great and long-lasting investment in a more beautiful smile. Veneer application usually takes two office visits. 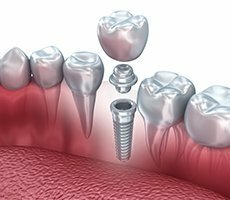 During the first visit, a very small amount of tooth surface material will be removed to make room for the veneer so it doesn’t extend above or over the surfaces of the neighboring teeth. 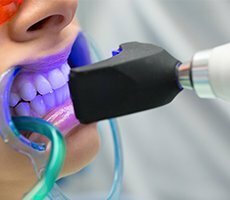 An impression will be made of the tooth and sent to the lab where the veneer will be made, and the tint will also be carefully selected to blend naturally with the surrounding teeth. 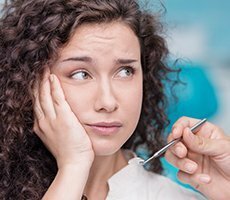 A temporary veneer may be applied to the tooth to protect it in the meantime. 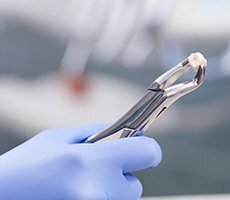 At the second office visit, the tooth surface will be carefully cleaned, and the veneer will be applied using a strong bonding agent, then gently shaped and buffed. 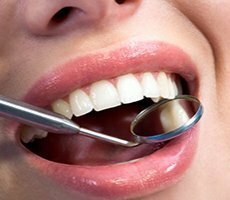 Yes, porcelain veneers can be cared for with regular brushing and flossing and routine trips to the dentist to ensure they remain properly adhered. 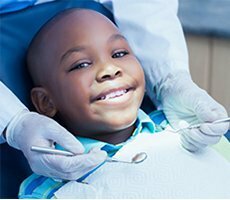 As with natural teeth, it’s important not to use the tooth as a tool to pry or tear packages open and to avoid chewing on ice or hard candy so damage can be avoided. 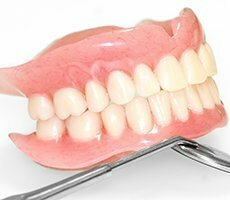 When properly cared for, porcelain veneers can last 10 years or longer. 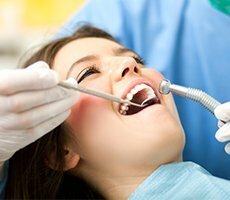 Is the cost of a veneer covered by dental insurance? 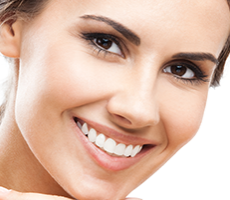 Typically, veneers are considered a cosmetic procedure, and they are not covered by most dental insurance plans. Our staff can help identify financing options that can help patients fit the cost of care into their budgets.